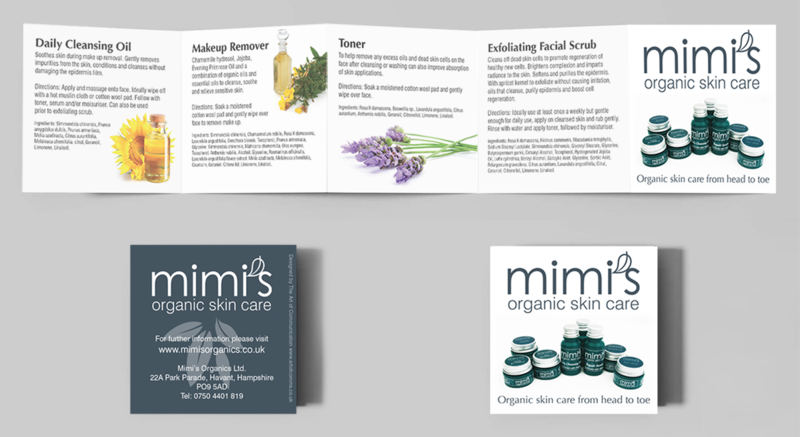 Mimi’s Organics were a start up skin care company when they came to The Art of Communication. 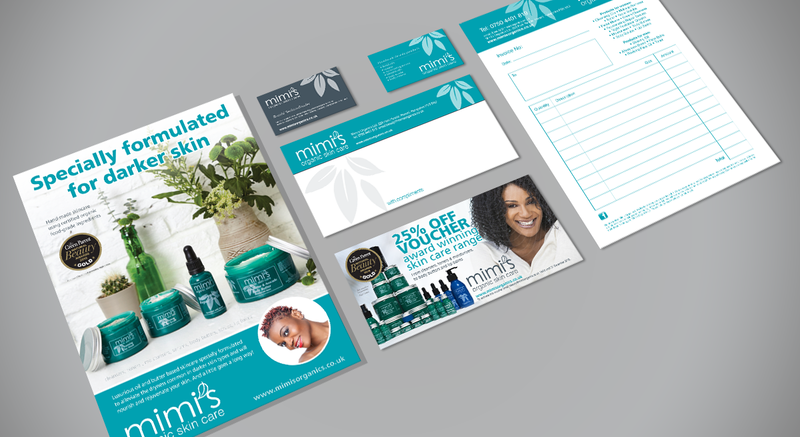 Mimi’s have a strong organic and ethical ethos and this needed to come across in the branding. As a start up low volume was a major consideration and production costs needed to be kept down. However, the products are at the premium end of the skin care market and the branding needed to reflect this. Brand development was quite complex on this project as the whole look and feel of the products, production costs and presentation had to be taken into account. The main consideration for the logo was scalability. This was especially important as clarity at the small sizes necessary on packaging was paramount. 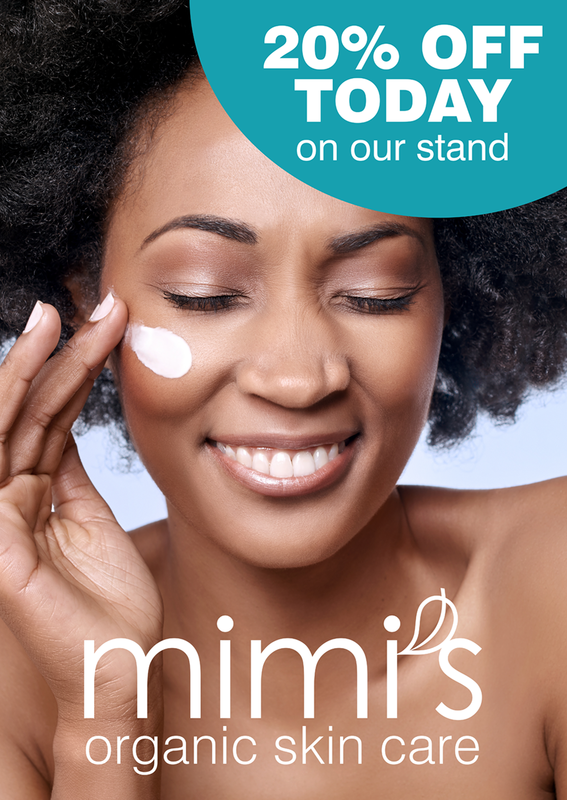 Mimi’s Organics products are specially formulated for darker skin, which tends to be drier than white skin. This is the main USP. Working closely with the client, we decided that where possible we would use painted glass jars as the primary packaging. These are attractive, give a longer shelf life to the organic products, and tie in with the environmental ethos. Labels were designed to be clear vinyl so that there were no issues with oily product transfer. They would be printed in a sophisticated simple white. In an ideal world it would have been preferable to produce bespoke printed boxes as the outer packaging but this was not an option at this stage. 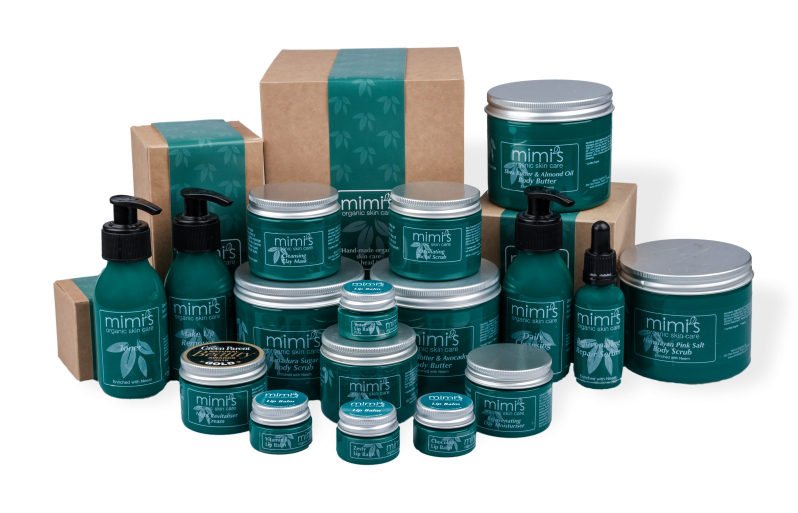 Mimi’s Organics policy is that the value is in the high quality essential oils and natural ingredients rather than fancy packaging. This of course presents a design challenge. We opted for off-the-shelf brown craft boxes with coloured tissue paper stuffing, and created wrap-around paper labels to for a strong identity. The brand has now been developed across all areas of promotional material from order forms, magazine advertising, pull-up banners and for internet marketing and even simple youtube videos. 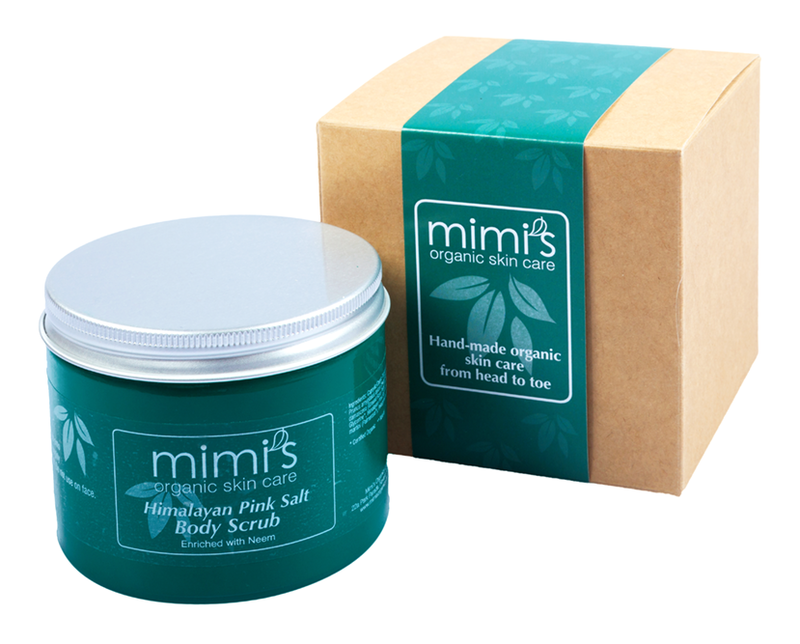 The Mimi’s Organics branding has gone down well with consumers and the products have won a number of prestigious awards. © 2019 The Art of Communication.